Massage therapy is a time-honored practice, furnishing wide-ranging benefits. Not only does the manual manipulation of the body’s soft tissues address physical restrictions, but the hands-on therapy can also reinforce mental and emotional well-being. Among the oldest documented health care traditions, the use of massage techniques can be traced to Asian medical texts thousands of years old. Joining the ranks of modern massage therapists carries-on this this proven custom. With career success in mind, take your first steps toward certification in this growing complementary health care field, starting with academic credentials from an approved MT program. Then put your passion to work gaining valuable hands-on experience in the methods and management of a massage therapy practice. Before long, you’ll be making positive contributions to the dynamic field of massage therapy. There are many forms of massage, so the term “massage therapist” offers a broad definition of the role played by practitioners. In general, massage therapists are committed to improving client health and well-being, contributing to the best possible public health outcomes. Therapeutic methods include kneading, rubbing, and pressing on the body’s soft tissues. Moving muscles, tendons, ligaments, and connective tissue in this manner relieves tension, frees restrictions and relaxes physical structures. Educate patients about posture, proper lifting techniques, stretching, muscle strengthening and other beneficial practices. Trained massage therapists use a range of techniques to assist clients. Hand manipulation is augmented with physical pressure applied by elbows, forearms, fingers and even feet, maximizing the procedures’ effectiveness. Oils and salves are sometimes used during therapy, as well as massage tables, stands, and props. Depending upon treatment goals and the nature of massage being applied, the process can span as little as a few minutes or carry-on for more than an hour. Job satisfaction is high among practicing massage therapists, so competing for a position in the field requires the proper didactic education and internships. Before going to work, most massage therapists complete training programs consisting of more than 500 hours of classroom and practical education. In fact, many specialists log over 1000 hours earning credentials. Gaining entry to the field also requires practitioners to score satisfactorily on a certification exam. The Massage and Bodywork Licensing Exam (MBLEx) is the standardized test used for licensure in a majority of U.S. states. Of the 48 regulating agencies across the country, 44 of them recognize the MBLEx for certification. Passing the examination rounds-out qualifications for licensure in these states, along with completing an approved academic program and earning relevant experience in the field. Each jurisdiction maintains its own eligibility requirements, so aspiring professionals are encouraged to consult with local agencies, before making education commitments. To ensure consistency and high-level care within the profession, dozens of massage experts helped craft a survey for active practitioners. More than 7500 professionals participated in this Job Task Analysis Survey. Their responses were used to shape the content of the industry’s MBLEx. A candidate is eligible to sit for the exam once he or she attains education and training sufficient to test in all the areas of the MBLEx. Providing documentation and confirming student status opens the door to an exam attempt. Graduation from a recognized program also meets the eligibility requirement. 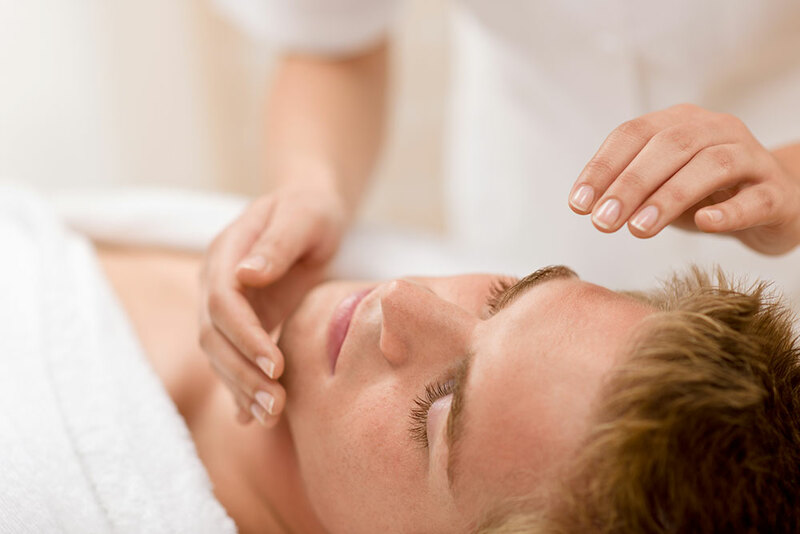 Massage therapists adhere to various modalities, each appropriate for particular applications. Educational commitments may include specialized training in these distinct types of therapy. Swedish massage therapy – The most common form of massage, Swedish techniques are the bedrock of modern therapy. Kneading and long strokes are characteristic of this form of therapy, which is used to enhance relaxation, improve circulation and ease muscle tension. Deep tissue massage – Chronic sufferers may benefit from deep massage, applied with more pressure than Swedish techniques. Administered against the muscle grain, deep-tissue massage uses direct friction and force to reach deep tissue layers. Prenatal/Pregnancy massage – Benefits of therapy are thought to be shared by mother and child. Acupressure – Thumbs and fingers apply targeted pressure to problem areas, reducing restrictions and easing tension. The therapy zeros-in on specific acupuncture points, releasing the benefits of this ancient Asian discipline. Chair massage – Often conducted in informal settings, chair massage brings the venue to the client, at times. Sports – Sometimes used to facilitate recovery from trauma and injuries, sports massage can also help prevent accidental injury. Increased range of motion, better muscle “stamina”, improved flexibility and other benefits also result. A regular course of massage therapy can help athletes perform at peak levels. Accreditation is a voluntary endorsement earned by some schools offering massage therapy training. By subjecting their institutional standards and academic programs to scrutiny, educators prove they have what it takes to prepare students for career success. Several accrediting agencies are responsible for evaluating academic programs and institutions in the field. The Commission on Massage Therapy Accreditation (COMTA) maintains a worthy credentialing resource for institutions and programs offering education in esthetics, skin care and massage therapy. The Commission was recognized by the U.S. Department of Education, starting in 2002, acknowledging the group’s efficacy evaluating massage therapy academics. Accreditation from COMTA ensures the standards maintained by an institution match the needs of the industry. To that end, practitioners and educators in the field lend their expertise to COMTA’s Standards of Accreditation. The Accrediting Bureau of Health Education Schools (ABHES) is another recognized accrediting body overseeing massage therapy training standards. The independent agency has been nationally acknowledged by the U.S. Department of Education since 1969, as a leader for advancing health care education. Massage therapy schools accredited by ABHES are spread across the country, including more than a dozen programs in California, Utah, and Texas (combined). Earning an endorsement form the National Accrediting Commission of Career Arts & Sciences (NACCAS) means an institution measures-up to national standards of education performance. The nongovernmental group is recognized by the Department of Education as an accrediting agency for institutions as well as departments offering massage therapy training. Academic credentials for massage therapists range from certificate programs completed in months, to advanced degree options, calling for substantial commitments to the profession. An associate’s degree level education prepares graduates for licensure and entry into the field. Exploring accredited programs such as those highlighted below can help you find the perfect path to professional success. New York College of Health Professions is consistently recognized among the leading massage therapy schools in the U.S. The College’s School of Massage Therapy extends learning opportunities centered in core massage techniques. Several modalities are taught, preparing graduates to practice in diverse environments. The programs offered by the massage therapy department blend classical training in Western anatomy and physiology, Asian bodywork traditions, and aspects of Oriental medicine. An Associate’s Degree in Occupational Studies is awarded to students completing the College of Health Profession’s rigorous 72 credit program. The curriculum prepares graduates to sit or the New York licensing test as well national examinations. The degree program can be completed in as few as 20 months, though part-time study tracks are also offered, accommodating students with work commitments. Miami Dade College extends three study tracks for earning a massage therapy certificate. An accelerated path carries candidates to competition in one-year’s time, leading to a Career Technical Certificate. This option is designed for candidates with a physical therapy background. The school’s standard program is completed in two semesters, furnishing background in head, foot and back massage – including training in trigger-point massage and reflexology. The comprehensive curriculum prepares graduates for the State of Florida Massage Therapy Licensure Exam. To complete hands-on training in massage techniques, students practice in an on-site facility on the school’s Medical Campus. Securing a bachelor’s degree from Siena Heights University reinforces credentials previously earned by health professionals. Through individual study plans, designed to supplement existing credentials, each graduate earns credit for their allied health degree, while building his or her academic background to a bachelor’s degree level. Rather than training further in the individual discipline, each custom curriculum consists of core coursework and electives needed to round-out technical allied health training. Successfully completing the program leads to a Bachelor of Applied Science degree. The school accommodates working students with flexible scheduling and weekend access. Earning an associate’s degree at Parker University prepares massage therapy graduates to hit the ground running in professional practice. The school’s Associate’s in Applied Science teaches multiple therapeutic techniques in muscle manipulation, facilitating work in spas, health care settings, and private practice. In-depth knowledge and practical skills are conveyed in as few as 16 months for students enrolled full-time. Comprised of 360 hours of clinical and hands-on training, the degree track requires 60 credit hours of instruction spread among general education and concentrated coursework in massage practices. Parker degree candidates already working in the field can add to their existing technical credentials, boosting a massage certificate into an A.A.S. in Massage Therapy. To meet the needs of would-be professionals first launching education, Parker also extends a certificate program comprised of hundreds of hours of instruction and practice. As the benefits of massage therapy take center stage, employment opportunities for qualified practitioners continue to emerge. Bureau of Labor Statistics indicates 22% projected growth within the industry during the decade between 2014 and 2024. The robust forecast far outshines similar predictions across other vocations, making massage therapy a secure choice for future employment. Growth at the projected pace will result in more than 35,000 jobs added to the profession in coming years. Median earnings for massage therapists in 2015 was more than $38,000 annually, but the top individual earners (upper 10%) made nearly $75,000 a year. Massage is commonly recommended to aid relaxation and support personal well-being, but the therapy has also proven effective treating clinical conditions such as arthritis, neuromuscular disease, hypertension, diabetes and asthma. According to BLS massage therapy data, expert massage therapy employment opportunities number more than 168,000. Professional associations and advocacy organizations play an important role supporting practitioners and advancing the field. These industry insiders furnish vital assistance for prospective students as well as career professionals. In addition to scholarship opportunities and other perks, the following groups also provide information and guidance. The American Massage Therapy Association is active supporting its professional membership. The group is a leader in education, offering dozens of online learning opportunities for working professionals. The valuable continuing education courses extended by the Association keeps therapists on the cutting edge of the profession and help busy practitioners meet requirements for maintaining licensure. The organization also uses strength of membership to guarantee affordable liability insurance, administered through partnerships with providers. Additional membership benefits include networking opportunities, career guidance, industry discounts and access to professional journals and publications. Federation of State Massage Therapy Boards (FSMTB) works to ensure the public receives the best possible massage therapy. Through its member boards, the Federation promotes consistency in licensing. It is comprised of the authorities responsible for licensing and regulation and works with industry professionals to advance best-practices and maintain a reliable and valid MBLEx. Formally organized in 2005, FSMTB has also been active establishing a database containing licensing and disciplinary records. Associated Bodywork and Massage Professionals (ABMP) represents a large group of professionals, not only furnishing liability insurance, but also protecting and promoting its membership. The organization maintains resources for active professional members and also extends opportunities for students to benefit through association with the group. For example, no-cost support materials are available to assist during education, and ABMP also furnishes online test prep to help candidates pass the MBLEx. Educators are also invited to partner with ABMP to bring benefits into reach for students. The organization’s “student life” program is of particular value to those breaking-in o the field. All told, the group maintains the largest such membership for massage pros. American Medical Massage Association legislative support, and like many other professional organizations aimed at massage therapists, liability insurance for practitioners. Membership also includes access to health insurance and disability coverage. The group is affiliated with another industry advocate known as the American Manual Medicine Association (AMMA), dedicated to advancing the profession. The road to employment as a certified massage therapist is filled with opportunities for specialized education. From certificate-level programs instilling basic knowledge needed to practice, all the way up the academic ladder, to advanced degrees; accredited education sets the stage for career success. Whether you are adding to your allied health credentials with massage certification, or first getting started in school, industry organizations and professional advocates can help move your education forward. Earning a certificate, associate’s degree, or bachelor of science degree in massage therapy opens the door to flexible employment in diverse settings. With accredited training under your belt, passing national and state examinations are the final hurdles to setting yourself apart in this rewarding field.